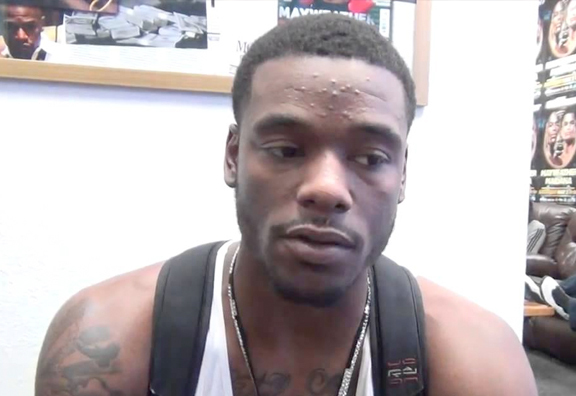 On Monday, Banner Promotions announced that the pro debut of Hasin Rahman Jr. will be moved to the untelevised portion of the April 14 Shobox card. His opponent will be 1-4 Brian Imes. I am not usually in the habit of paying much attention to professional debuts, unless the fighter in question was some sort of amateur sensation. Rahman had a credible amateur career, but nothing that dazzles. However, his debut gives me the opportunity to write a little something about heavyweight boxing in the late 1990s and early 2000s, and that is one of my favorite topics to discuss. Hasim Rahman Sr. was a good, but not great, heavyweight fighter. However, he recorded one of the great Rocky Balboa moments of the past 20 years when he knocked out Lennox Lewis on April 22, 2001, to capture the lineal heavyweight crown. Lewis was the best heavyweight of the 1990s, one of the greatest decades in the history of the division. I also rate him as the best of the “Dreadnought” class super heavyweights–ahead of other behemoths such as Jess Willard, Primo Carnera and the Klitschko brothers. But Lewis was hardly invincible. If a rugged, determined fighter could force his way inside of Lewis’ massive, 84″ reach, he could put the big Brit in danger. Oliver McCall had already demonstrated this in 1994, when he stunned Lewis in Round 2. Rahman came in against Lewis with a simple but elegant game plan–jab to the body and then look to throw a righthand bomb up top. He persisted doggedly with the strategy, even as Lewis closed his eye with a battering ram jab. In Round 5, Rahman bullied Lewis into the corner with five straight jabs to the stomach. Then he launched the shot heard round the world, a right hand that sent Lewis tumbling to the canvas, unable to continue. Rahman would lose the rematch, later in the year. He fought for another 11 years, but gradually faded from contender to stepping stone. Still, he will forever hold a place on the short list of men who can legitimately claim that they were the Heavyweight Champion of the World.